Lecture by H.E. 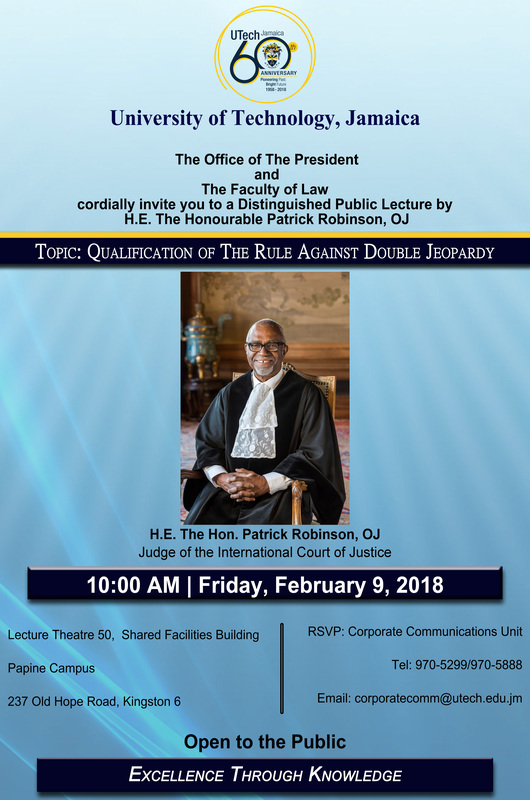 Patrick Robinson, OJ on " Qualification of The Rule Against Double Jeopardy" — UTech, Ja. Lecture by H.E. Patrick Robinson, OJ on " Qualification of The Rule Against Double Jeopardy"